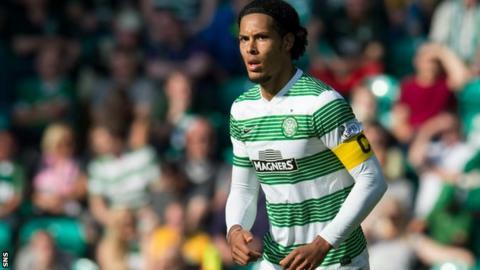 Police are investigating an allegation by Celtic defender Virgil van Dijk that he was racially abused by a fan during the win over St Mirren on Saturday. The Dutchman complained to police after his side's 2-1 league triumph in Paisley. An investigation has now been launched. A statement from Police Scotland read: "We have received a complaint from a Celtic player alleging he was racially abused by a spectator during the St Mirren v Celtic match on Saturday." The statement continued: "Police are liaising with both clubs and are analysing broadcast and CCTV footage. Enquiries are ongoing."